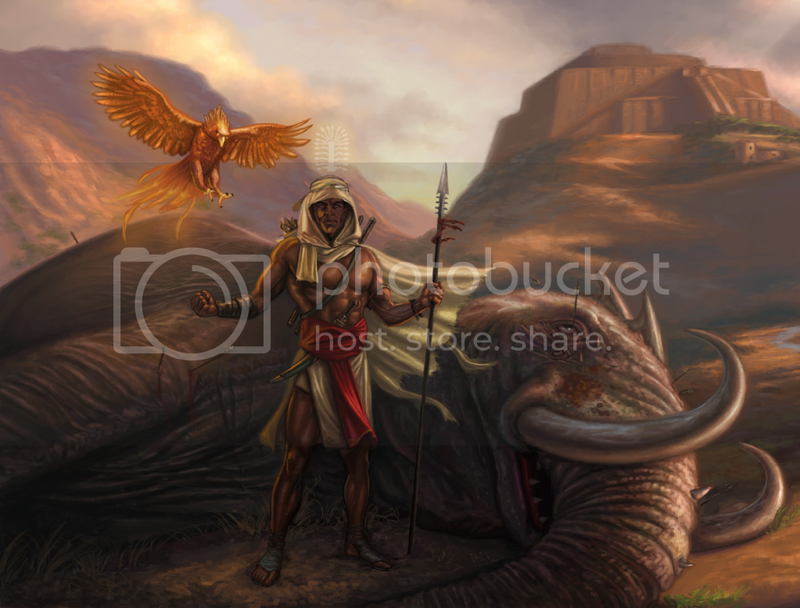 Join Gregory "Brother G" Walker, author of the award winning "Shades Of Memnon" book series, for the debut of his new project "Nimrod The Hunter," a multimedia ebook experience, at the Harlem Book Fair, this Saturday, July 23 (outside the Schomburg Center for Research in Black Culture, 515 Malcolm X Blvd NY). Brother G, along with Hollywood personality Jeffrey Poitier and a host of artists involved with the project, will be presenting at 12:00 noon on the stage of the Digital Cafe. The "Nimrod The Hunter" multimedia ebook is a breakthrough in many exciting ways. After 5,000 years, back when icons of this character could be found among all the great nations, Brother G has finally revived the world’s oldest recorded heroic tradition! And like Shades Of Memnon, it has attracted nearly instant Hollywood attention. With enormous potential for education as well as entertainment, “Nimrod The Hunter” again proves that the African Legends genre rules! The product itself is also a technical marvel utilizing the power of HTML5! This means the ebook can be purchased and read anywhere in the world, on any device with a browser and contains art, video and other multimedia enhancements to bring the African Legends genre roaring into the 21st century. Brother G will be signing copies of the "Nimrod The Hunter" cover in the form of a revolutionary sticker that fans can stick on walls, on glass or even on the back of your laptop. The "Nimrod The Hunter" cover has also been specially enhanced to act as a gateway to other multimedia content, including the official "Nimrod The Hunter" motion poster. This stunning mix of still images, sound, music and special effects with voice over by Jeffrey Poitier, renowned nephew of the legendary Sidney Poitier, will make its debut at the at the Harlem Book Fair, where Brother G will also speak about the history and background of the project, along with its future in the film industry. Don’t miss this once in a lifetime historic event 5,000 years in the making! Tags: hunter, nimrod, the, returns!